ADECOSOR (Deaf Community Development Agent). 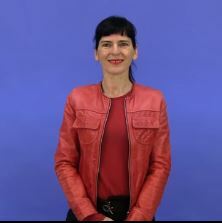 Professional expert on the deaf community specialized in social intervention and mediation to promote the full development of the deaf community in any context. STATELESS PERSON. According to the United Nations Convention on the Status of Stateless People in New York on September 28, 1954, it is "any person that no State considers the recipient of the application of its law." This may be because the person had the nationality of a state which has disappeared (not creating any successor state), has lost nationality by government decision, belongs to an ethnic or other minority to which the State’s government where he/she was born denied the right to nationality or was born in disputed territories by more than one country. DEAF ADVISOR. Deaf Professional responsible for the actions that promote family communication (sign language workshops, home visits, etc.) and a personal, linguistic, and identity referent for deaf children, deaf adolescents and their families . They often develop their work in bilingual schools and associations and federations of deaf people. In some services they are called "sign language specialists". TECHNICAL AIDS FOR THE HOME. Technical resources that may be useful to make the daily lives of the deaf more accessible: light indicators, TV amplifiers, etc. ASYLUM AND REFUGE. The right of asylum is the protection granted to nationals outside the European Union, or to stateless people who are recognized as refugees. This protection means non-repatriation or expulsion of people who have been granted: residence permit and permanent work permit, access to the rights recognized by the law applicable to victims of gender violence, access to health care, social assistance and social services. COMMUNICATION BARRIERS. Barriers that impede deaf people to access information. They go from lack of subtitles to lack of interpreters in the various spheres of public and private life. CERTIFICATE OF DISABILITY. Official document that entitles the person with disabilities or their families to access certain social and economic benefits (health, education, employment, recreation, transportation, housing, adaptations, financial benefits, etc). DEAF COMMUNITY. Group that participates in cultural and linguistic values built around sign language and a visual conception of the world. The Deaf Community is made up of deaf and hearing people who share the same linguistic and cultural heritage. DISCRIMINATION. It is the distinction, exclusion, restriction or preference based on ethnic, social, cultural or religious reasons, sexual orientation, disability, etc. which has the purpose or effect of nullifying or impairing the recognition, enjoyment or exercise, on equal terms, of human rights and fundamental freedoms in the political, economic, social, cultural or any other aspect of public life. SIGN LANGUAGE SPECIALIST. 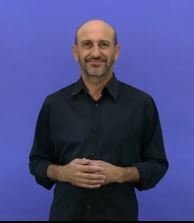 Deaf Professional expert in sign language teaching. Both in the family and education spheres, they become a language model and a model of adult deaf person for both deaf children and their families. INTERCULTURALISM. It refers to the situation where two or more people or groups interact, discuss, are mixed, and do in fact coexist in equal numbers and influence. It designates the relationship between culturally distinct people or groups. Interculturalism addresses the relationship between cultures for convergence to establish links and commonalities through cooperation and mutual learning and exchange. The ideal of multiculturalism is that from the existing multiculturalism in a given context, an equal dialogue, democracy and mutual enrichment in exchange are created. The dialogue and exchange between the parties are areas of conflict and negotiation that can help find answers. SIGN LANGUAGE INTERPRETER. They are the communication bridge with the hearing society. The figure of the professional sign language interpreter plays a fundamental role for the participation of deaf people in all aspects of life. SIGN LANGUAGE. It is the natural language of deaf people. It is not universal; each country has its own language. Spain uses Spanish Sign Language and in the area of Catalonia, Catalan Sign Language. As research shows, sign languages have all the characteristics of the spoken languages and the same functionality to think, communicate and handle any concept. MULTICULTURALISM. It refers to the coexistence of diverse cultures in the same area and it can carry different adjectives (peaceful, cooperative, negative, unsustainable) or become something of a higher rank, such as cohabitation. We could say that we currently live a moment of high multiculturalism in Spain, since in many towns and cities there are groups of people who belong to or have their origins in different cultures. NATIONALITY. Quality of a person determined by the bond or relationship that binds them to a particular State. DEAF PEOPLE. Those people with hearing loss who find communication barriers in their daily lives (a limiting environment) that often make it difficult or impossible for them to develop their skills and participate equally in society. FAMILY REUNIFICATION. It refers to the process by which people of foreign origin reunify different members of their family, so as to ensure authorized entry into Spanish territory. This process is subject to specific legislation regulating the requirements, procedures and the right formula for application. In addition, this legislation also establishes who in the family can be reunited, as well as the deadlines and timelines for the processing and submission of documents. RESIDENCE: Legal status granted to people who live in Spain on a temporary or permanent basis with permission to reside in the country.